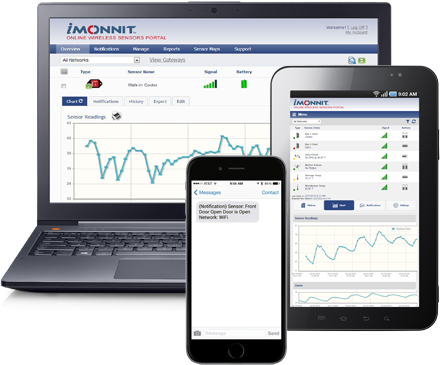 Salt Lake City, Utah – March 15, 2018 – Monnit Corporation (www.monnit.com) today, announced a new wireless three phase current meter to help companies better track and understand power usage. The ALTA Three Phase Current Meter measures RMS current (AC) by using three 150 Amp current transformers (CTs) that wrap around the wires of a three phase power system. The sensor reports Minimum RMS current, maximum RMS current, average RMS current, and duty cycle for each phase and the combined amp hours of all three phases to the iMonnit system. The iMonnit system is also capable of generating watt hour or kilowatt hour readings, based on user specified RMS voltage. Monnit’s ALTA products offer four times the wireless range (1,000+ feet, non-line-of-site) and much stronger battery life than traditional sensors (10+ years on two AA batteries). ALTA products also use Monnit’s new Encrypt-RF™ bank level security, featuring 256-bit exchange and AES-128 CTR for all data messages. Other features include; onboard memory for data logging if sensor is out-of-range, and over-the-air updates that allow products to be updated remotely if new fixes or features become available. Salt Lake City, Utah – March 7, 2018 – Monnit Corporation (www.monnit.com) today, announced the release of two new ALTA wireless devices; the ALTA Serial MODBUS Gateway and ALTA Industrial Quad Temperature Sensor. 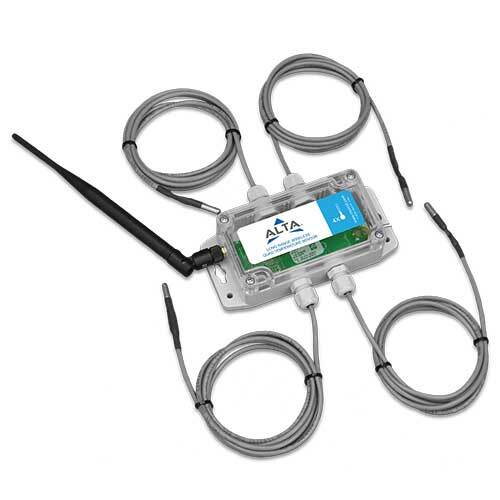 The ALTA Serial MODBUS Gateway (SMG) acts as a data concentrator for Monnit’s ALTA long range wireless sensor networks. This device allows you to connect up to 50 wireless sensing devices, per gateway, to your existing serial MODBUS RS-232C and RS-485 sensing and control infrastructures. Communicates with MODBUS RTU / ASCII Serial Protocols. Supports RS-232C / RS-485 Interfacing. Integrates into your existing backend monitoring systems. NEMA 4X / IP66 Rated Enclosure. 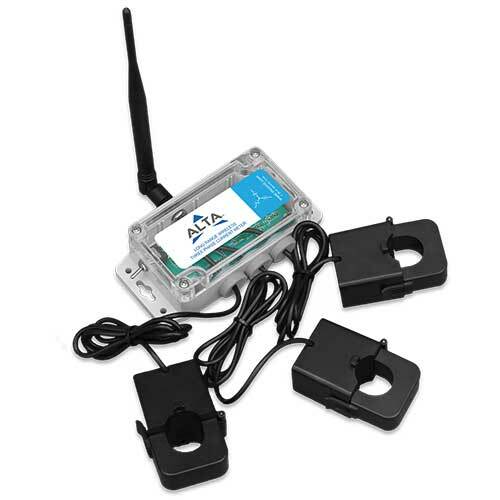 The ALTA Industrial Wireless Quad Temperature Sensor uses four individual sensor probes to measure and track temperatures with reliable accuracy. Perfect for monitoring a variety of temperature critical applications such as food coolers, HVAC systems and data centers. Four (4) independent temperature probes. Probe temperature range of -40°C to +125°C (-40°F to +257°F). Accurate to ± 1° C (± 1.8°F). Increased accuracy by user calibration to ± 0.25° C (± 0.45° F). All of Monnit’s ALTA Wireless Sensors include free basic iMonnit online sensor monitoring with SMS text and email alerting. For more information on Monnit’s sensors, gateways and remote monitoring software, call (801) 561-5555 or visit www.monnit.com.